"We strive to select, fund and groom the best and brightest candidates and set them up for future success. Providing opportunities where none existed." The Isipho Admin Bursary is not government funded but are supported by administrative professionals and training companies from around the world financially. They are a team who are committed to leaving a legacy! 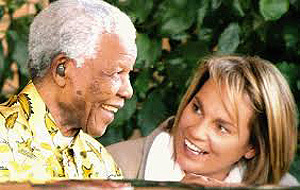 The patron of the Isipho Admin Bursary is Zelda La Grange who is a former private secretary to Nelson Mandela. The Isipho Admin Bursary is still in it's infancy but its goal is to change lives and create spectacular careers by not only funding education for deserving bursary students but to support them with mentoring, coaching and on the job training experiences. This project is not just about the money, it is transferring real world skills and guiding our students into the world of work. Business Management Training Group Limited, and its directors Richard Arnott and Steve Wylie, were the first major sponsors to commit funds to the Isipho Admin Bursary and to honour our contribution the Isipho Admion Leadership will be awarding one student the annual ACEPA/Isipho Bursary. 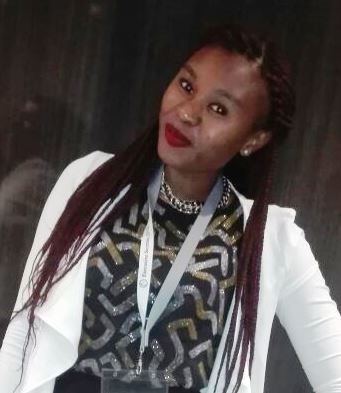 The winner of the 2017 ACEPA/Isipho Bursary is Andile Mthimunye who was presented with the award at Executive Secretary Live in Johannesburg in February 2017. The Karitato* Initiative is a BMTG Sponsored Learning Programme, forming part of BMTG’s Corporate Social Responsibility policy, under the stewardship of the Business Management Training Council. BMTC is fully committed to making the Karitato Initiative a success wherever training is being held, whether that is in Asia, Africa or other locations. Deserving individuals or organisations that may not have the financial back up to otherwise obtain world class best practice training can more readily have key staff attend a course in a specialised discipline. The BMTG Partners have agreed to support the Karitato Initiative by offering a one time free place per course to one delegate from an approved charitable body or other such deserving social support organisation in or near the country where the training is being held. Examples of organisations who would qualify for consideration under this Sponsored Learning Programme include the local arms of international NGO's like the International Red Cross and Red Crescent, Medecins Sans Frontiers, Orbis, Unicef, and Green Cross International. But the training might also be made available for those managing public services, or developing local economies. The criteria for invitation and selection will be based on need and impact, supporting those who can best transform the lives of the poorest people on the planet.